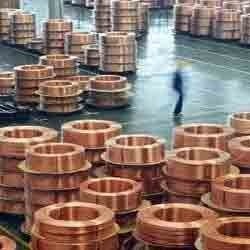 Pioneers in the industry, we offer copper components from India. We have gained expertise in offering a quality approved range of Copper Components which has excellent electrical and thermal conductivity and provides befitting solution for power transmission to all energy intensive industries and efficient cooling solution for furnace linings. These products are widely used in electrical panel board, transformer, bushing and switchgear industries. Owing to their optimum performance, user-friendliness and reliable service life, these products are widely applauded by the customers.